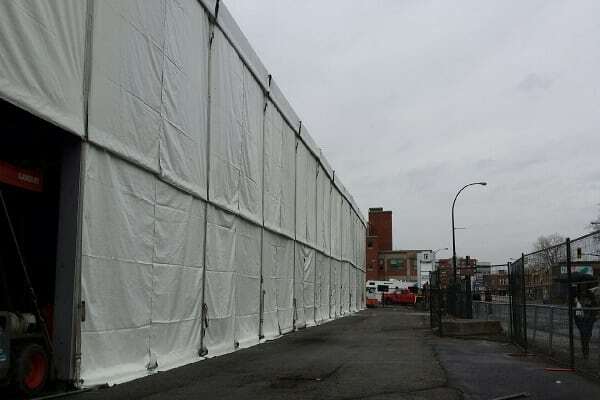 We installed this 30m x 55m Clearspan Structure on our 7.5m legs in the busy city of Montreal, Quebec. 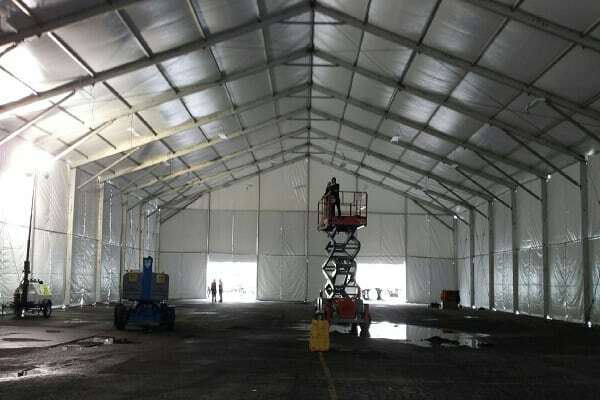 The tent was to be used for a month long storage space, and the height was needed in order to drive larger trucks through it. The room on site to install this structure was very limited to begin with. We were close to a busy road and could only have access to the side of the parking lot where we were working. The rest of it had to be fenced off. 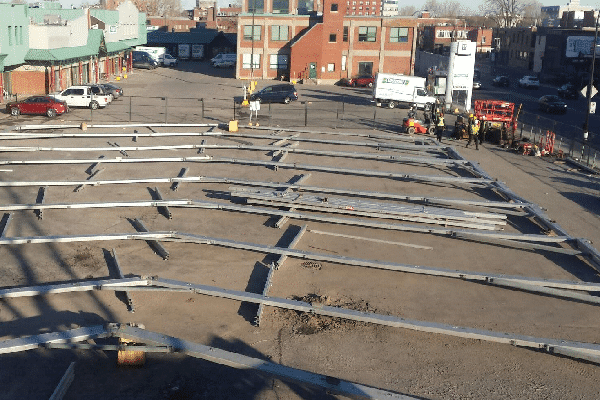 In order to pull off the install we had to use a crane to lift the frame of the structure. When all was said and done the structure was up and ready to go in a matter of three short days.